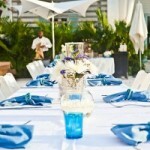 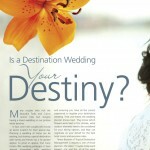 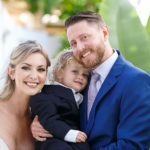 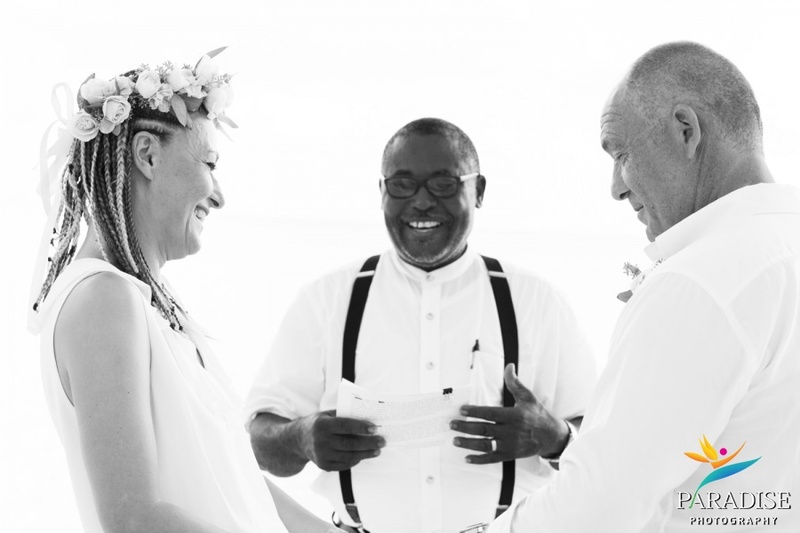 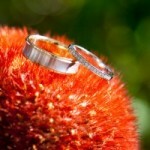 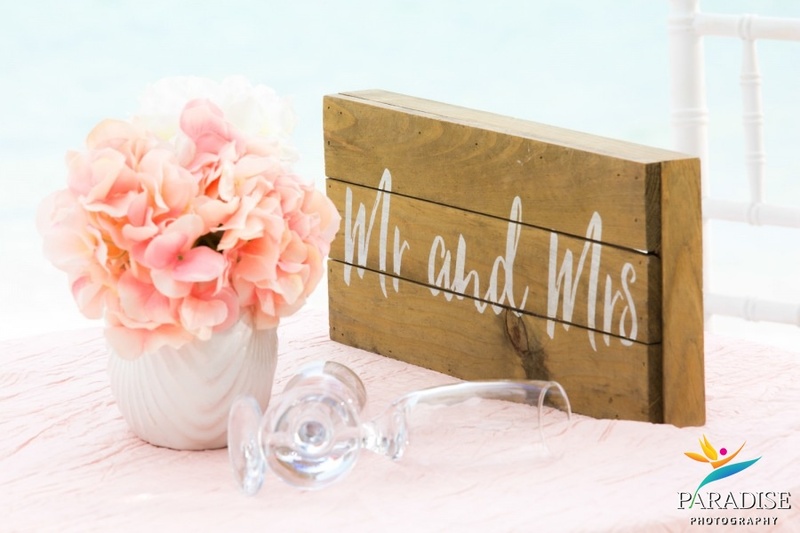 Here at Tropical DMC, we love an unconventional wedding with a good story behind it. 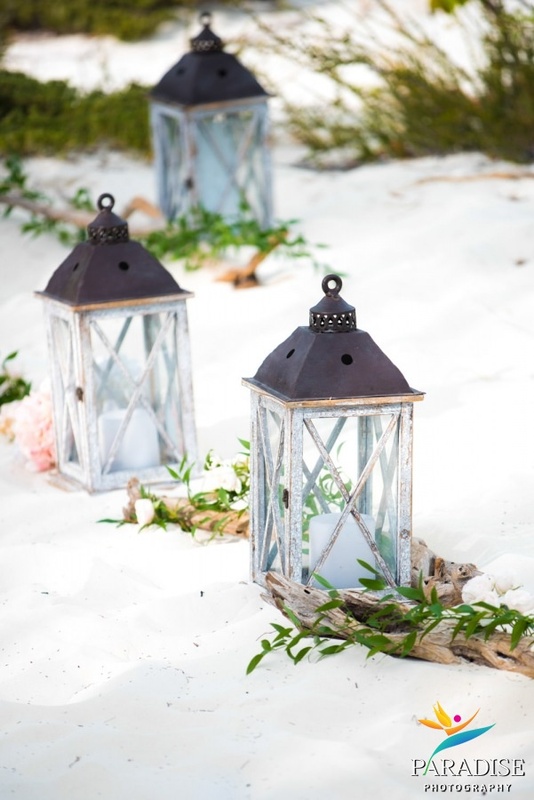 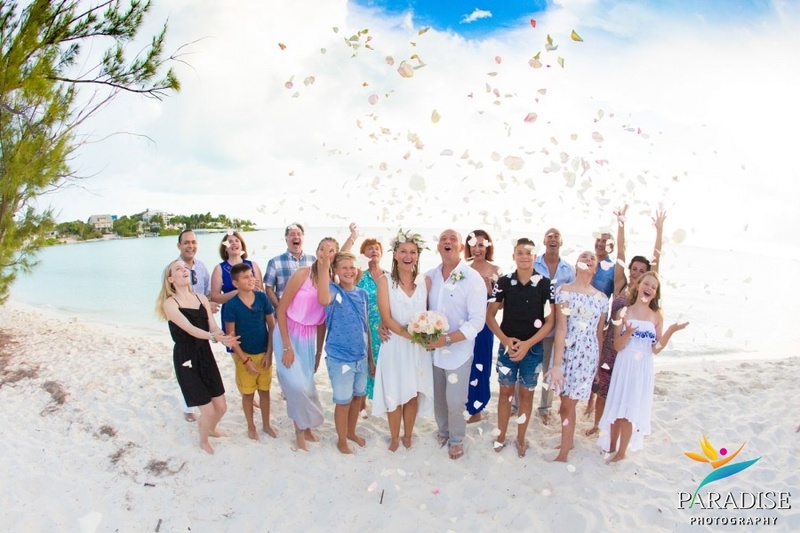 Sanja and Zoran’s wedding on Taylor Bay Beach was one of those special weddings. 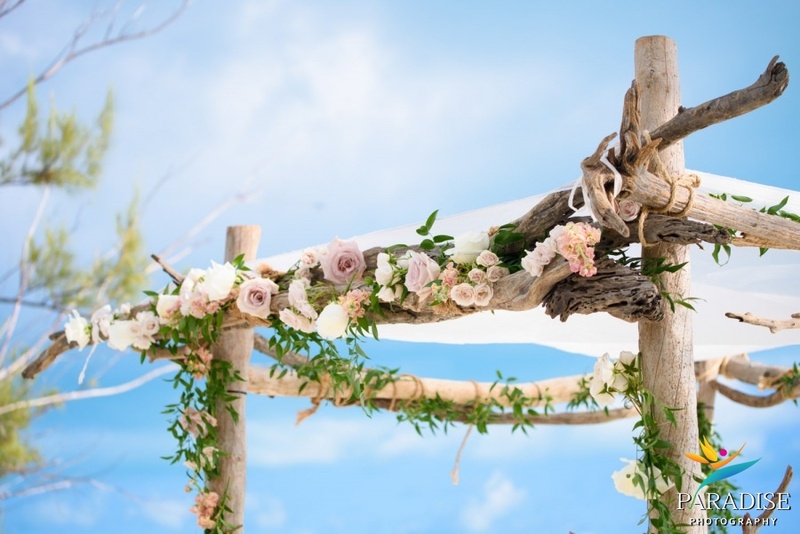 What made it so unique? 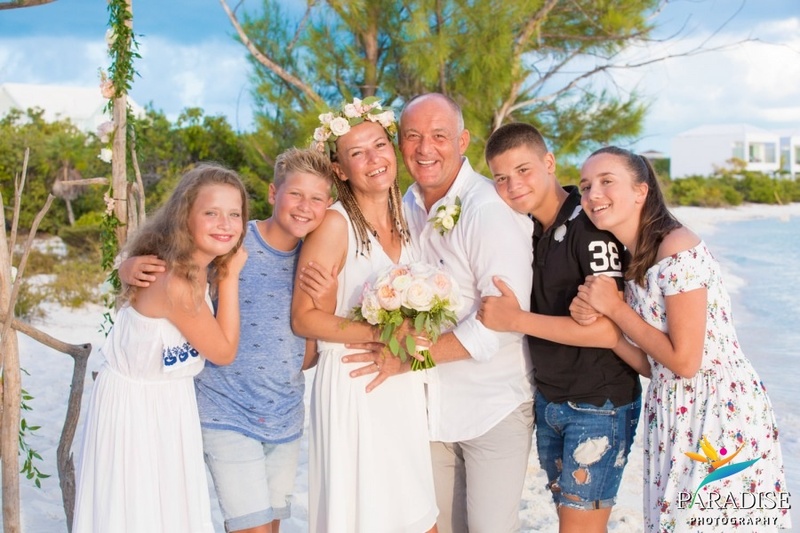 For starters, Sanja and Zoran have been together for 20 years, and in those 20 years they’ve had two children together. 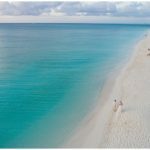 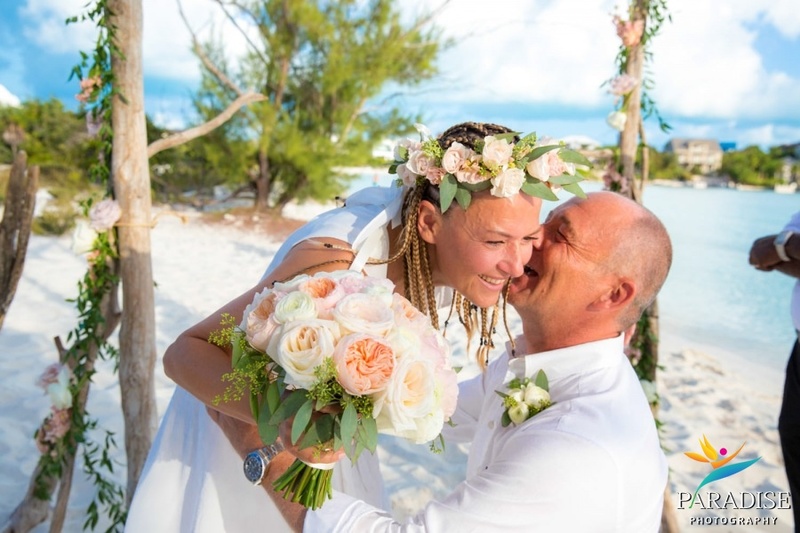 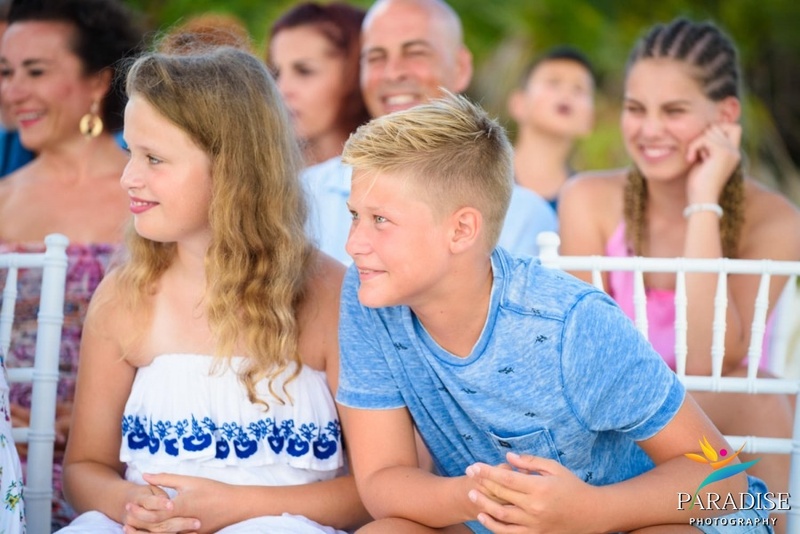 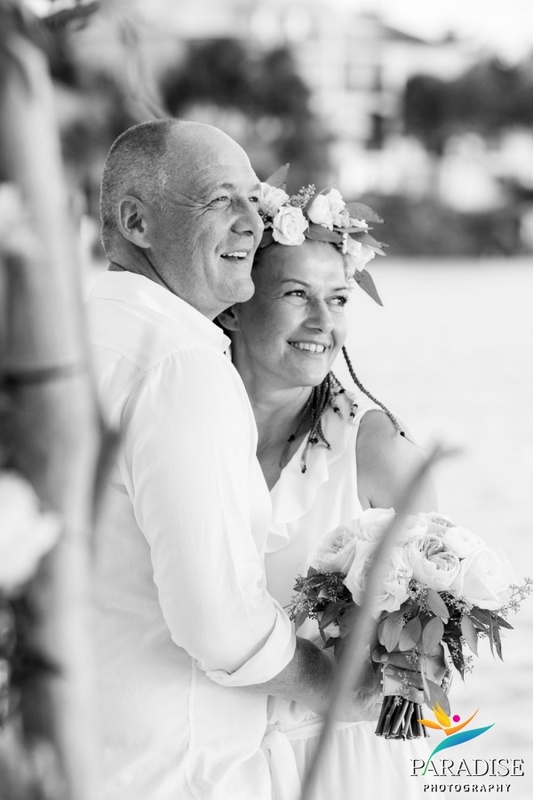 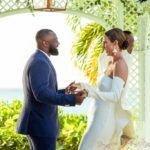 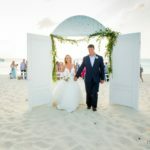 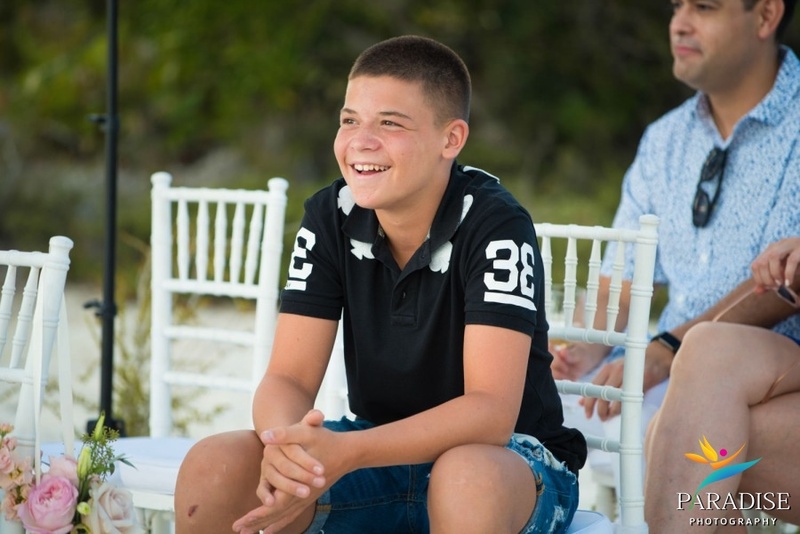 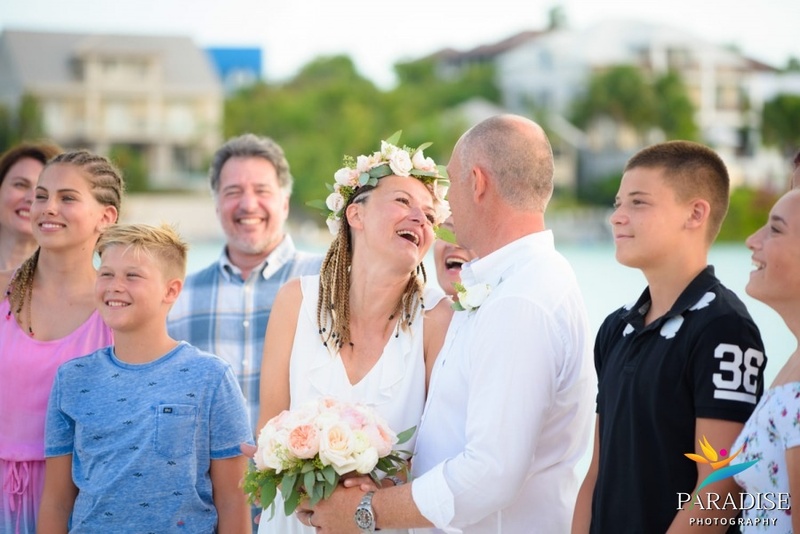 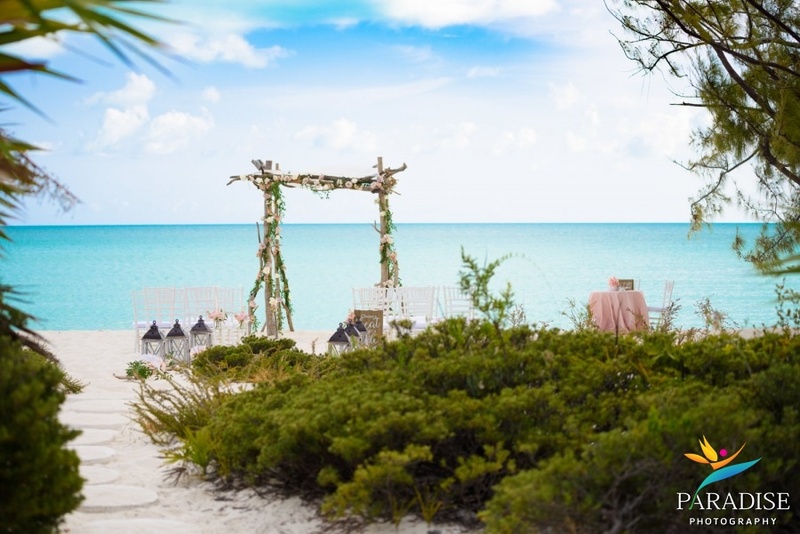 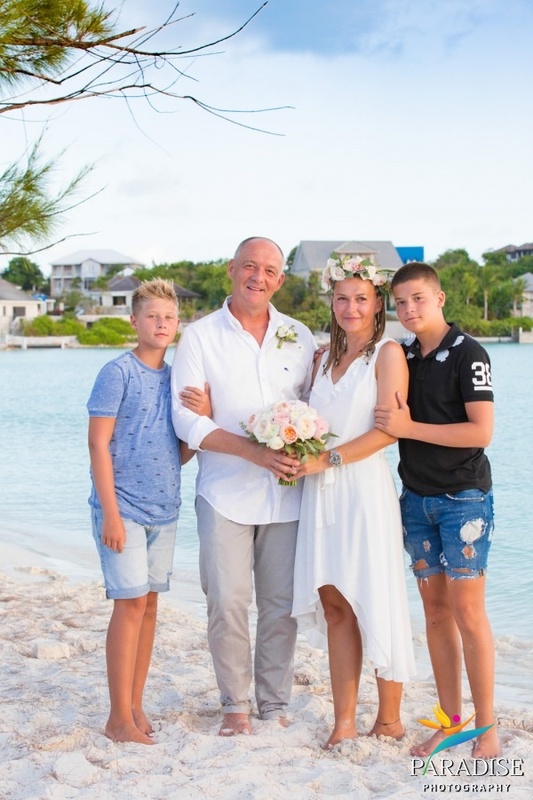 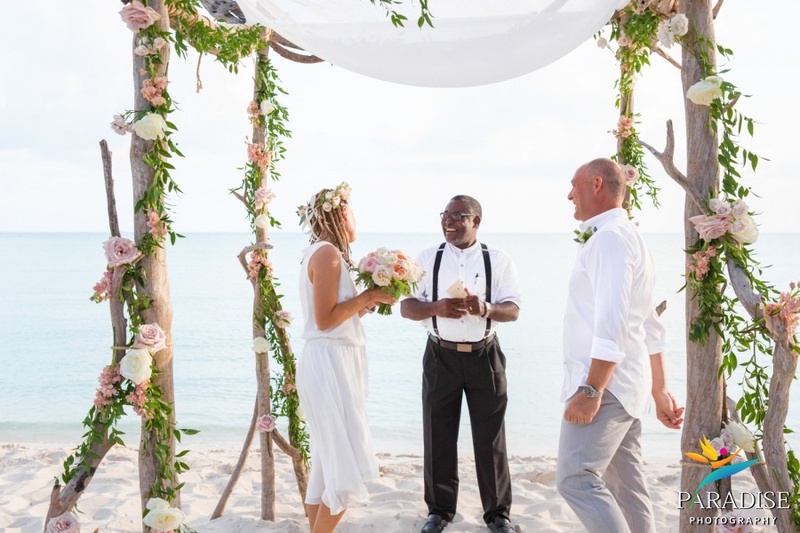 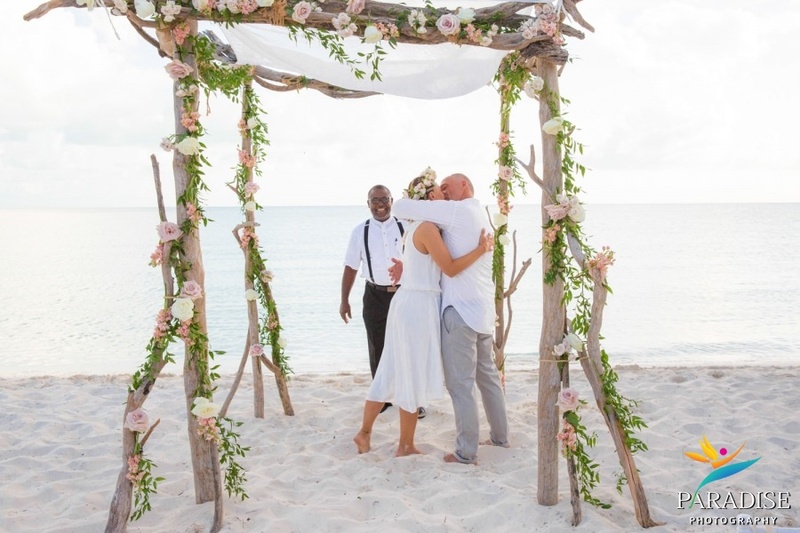 But here’s the best part: Zoran and a close friend of Sanja’s who lives here in the Turks & Caicos planned this wedding together — and Sanja had no idea. 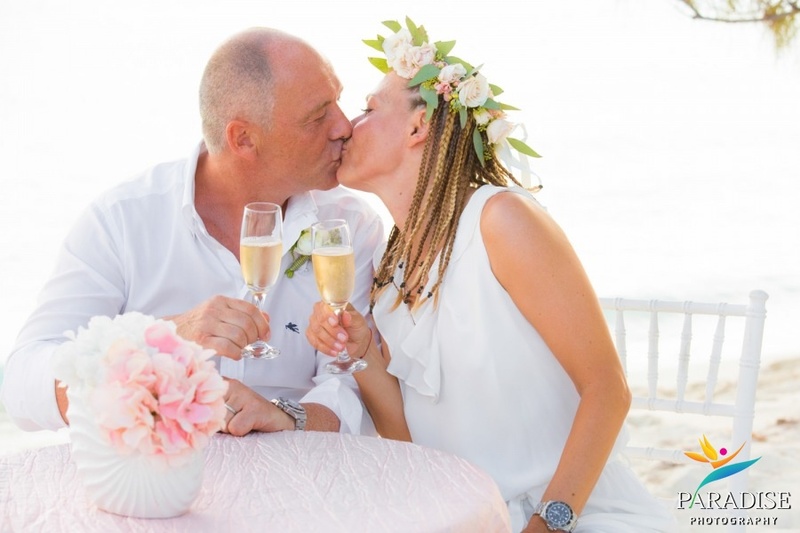 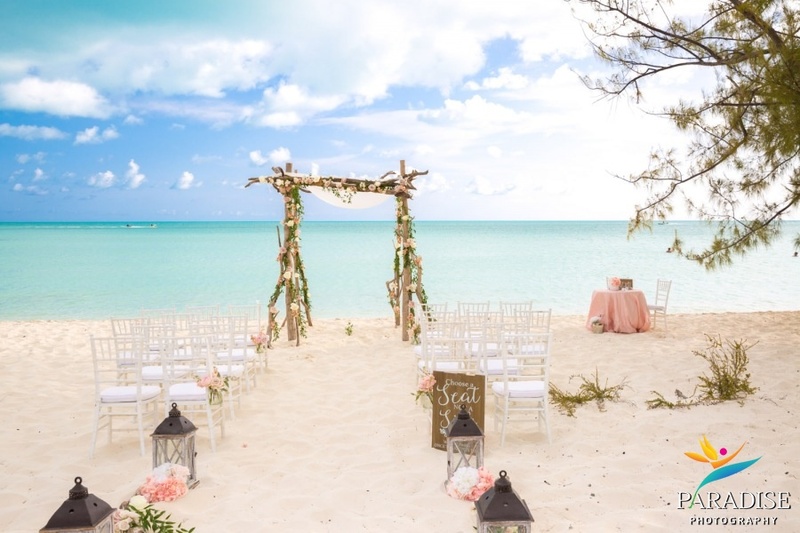 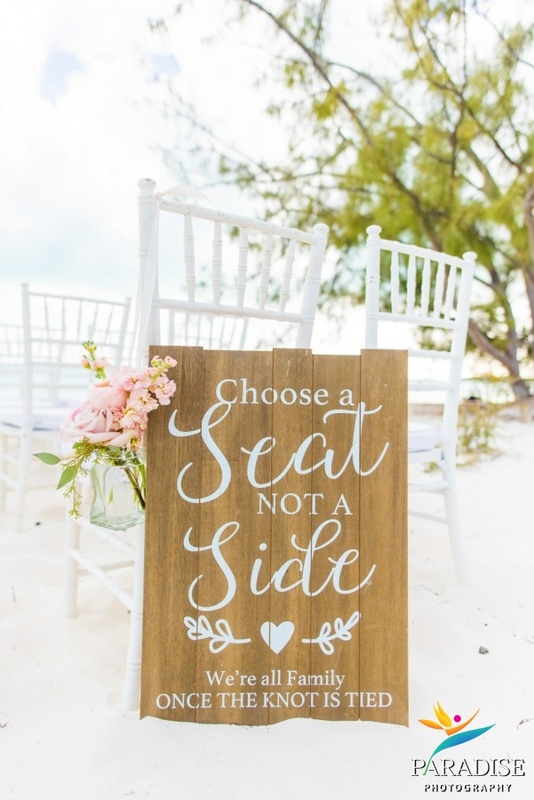 Yes, we got to plan an intimate surprise wedding on the dreamy Taylor Bay Beach, complete with a whimsical driftwood arch adorned with pastel-colored roses and greenery, and a bridal flower crown for Sanja. 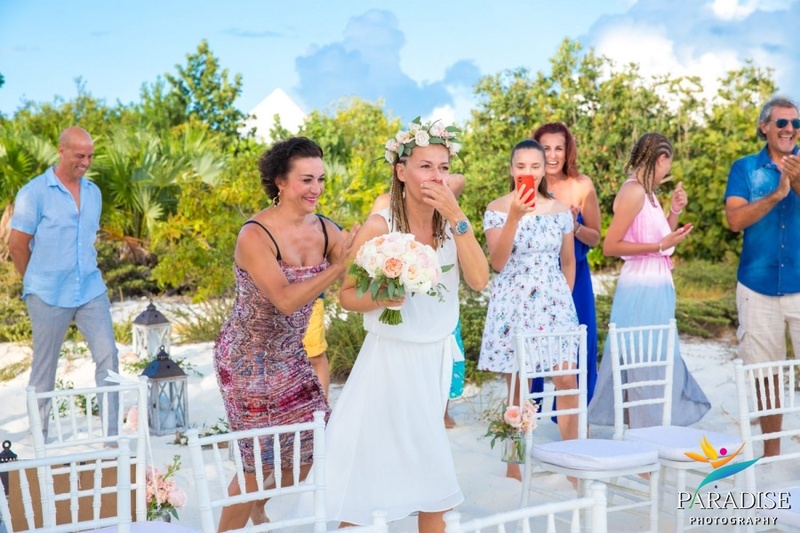 Judging by the look on Sanja’s face in these photos, it’s safe to say this happy surprise went off without a hitch. 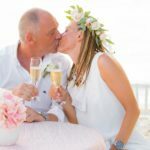 Here’s to another 20 years (and more)!